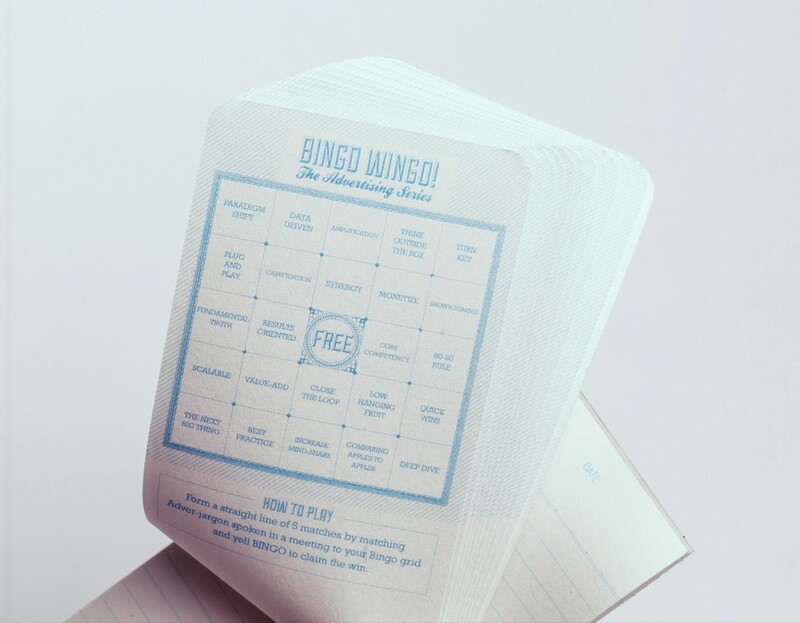 Inspired by the childhood game, Bingo Wingo is a game played during meetings or presentations. 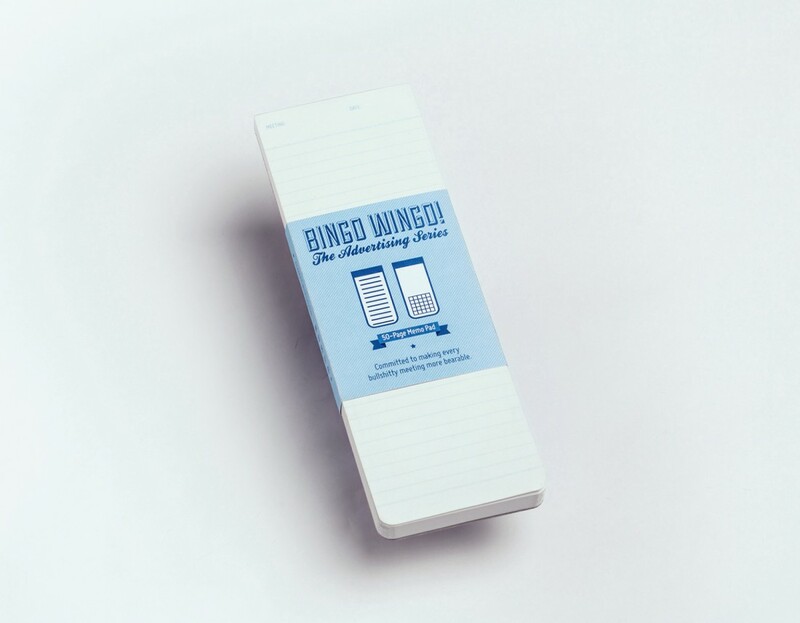 By folding up the bottom of each page, a Bingo grid is revealed. We encourage victims of fluffy meetings to congregate together. Players are to lookout for as many fluffy buzzwords as they can to win. 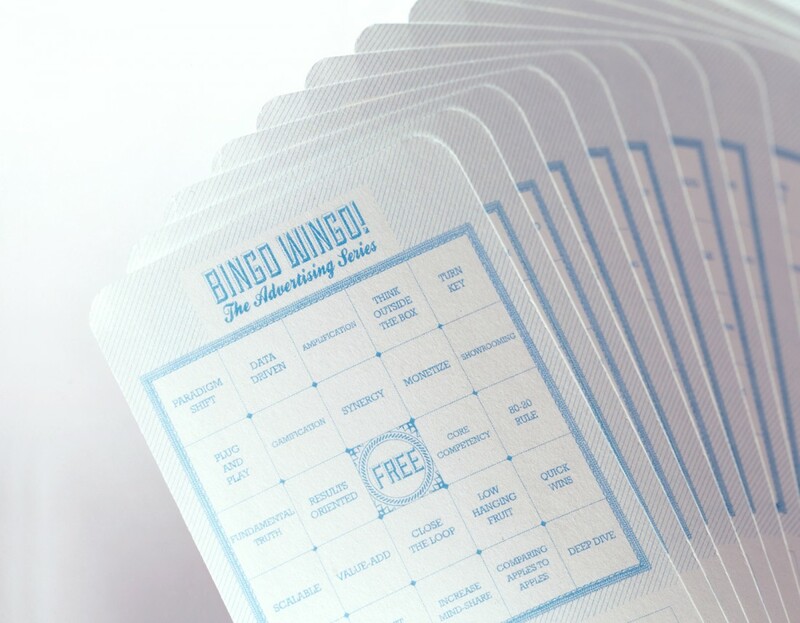 Forming a straight row of 5 matches and yell BINGO! to claim their win.